Broadway isn't all work and no play! 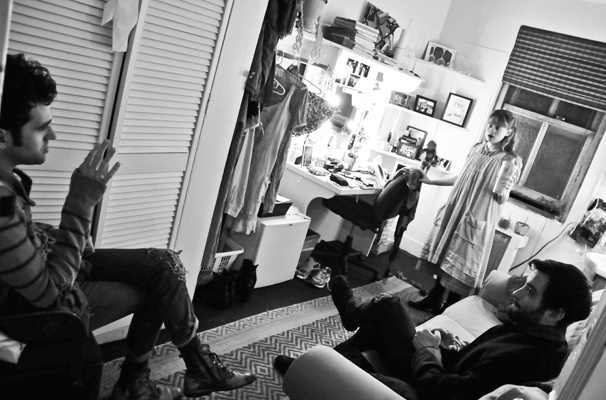 Leading lady Celia Keenan-Bolger (Molly) catches up with castmates Adam Chanler-Berat (Boy) and Teddy Bergman (Fighting Prawn) in a favorite hangout spot: her dressing room. Broadway.com photographer Jenny Anderson goes backstage with the cast of Peter and the Starcatcher.